Step 1: Right click on desktop and move mouse cursor on 'New' menu and then click on 'Text Document' menu. Step 2: Now you can rename (type your name) this file name as shown in image below. 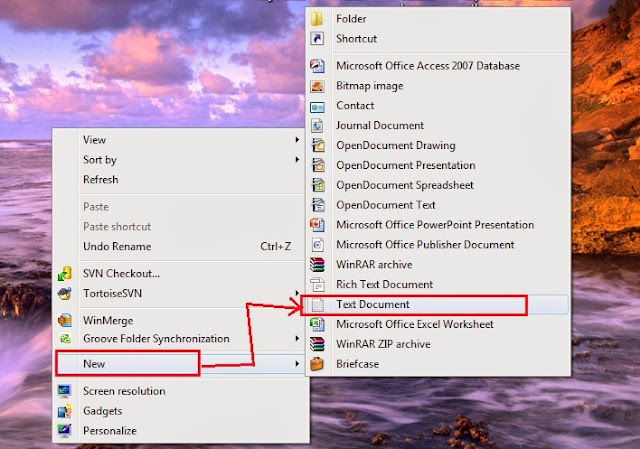 Step 3: To open file double click on created file. Now you can write anything in this file. 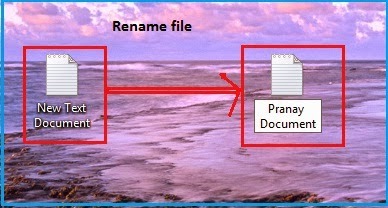 for example: Type the text "My name is Pranay" in file as shown in image below. Step 4: Now click on 'save' menu to save the file permanently in computer as shown in image below. Step 5: Similarly you can create file in any drive in computer, just open any drive and follows the same above steps.